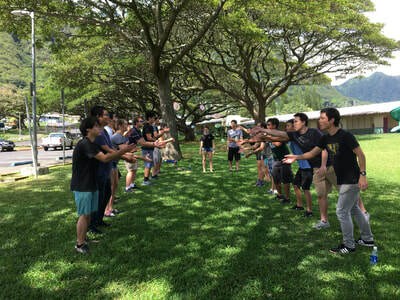 On October 22, 2017 at 10:00 AM, HKN hosted a team-building picnic to commemorate the founding of the organization, which dates back to October 28, 1904. 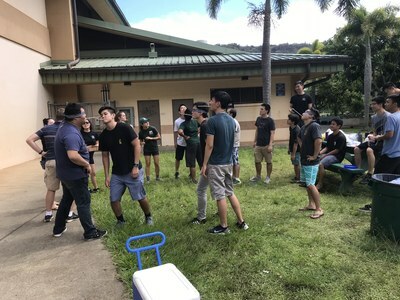 Although attendance to the event was exclusive to the Officers and Pledges of HKN, it provided a valuable bonding experience for all who were present. 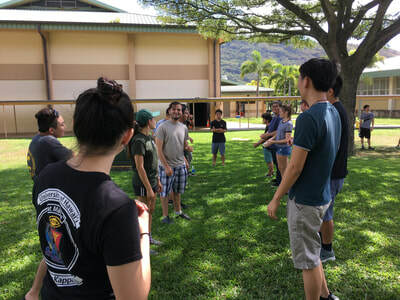 Taking place right after the midterm season, the event provided attendees a chance to relax, play a series of fun team-building games, and enjoy a refreshing lunch in the sun. Some of the games were focused on coordination in teams of two, while other games focused on non-verbal communication skills in larger teams. 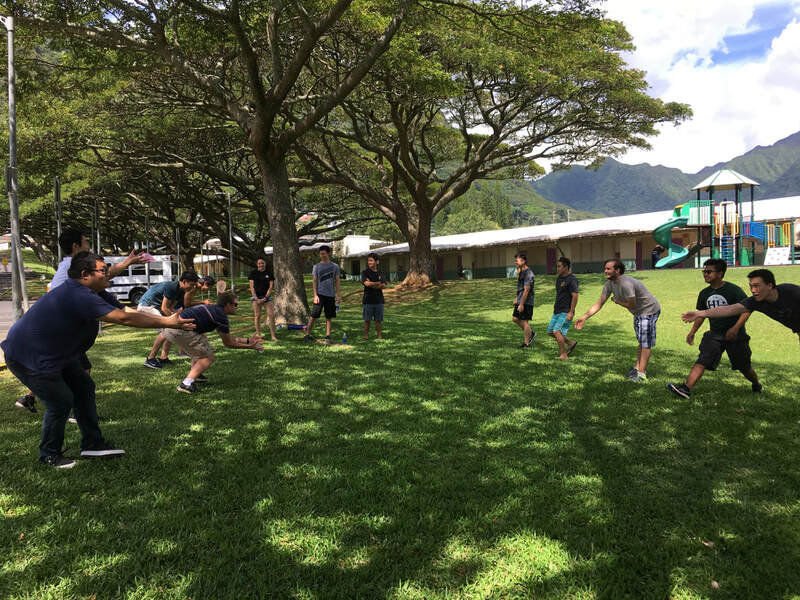 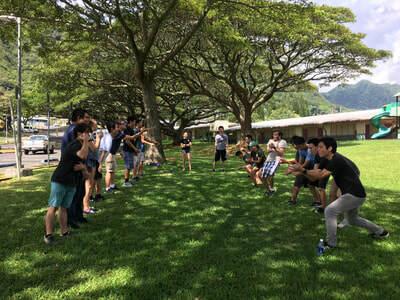 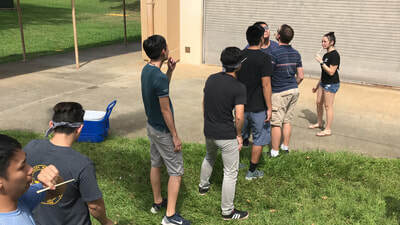 Coordination-based games included a water balloon toss in which teams of two tossed a water balloon back and forth at progressively-increasing distances and a race which required each team to carry a balloon together without using their hands. 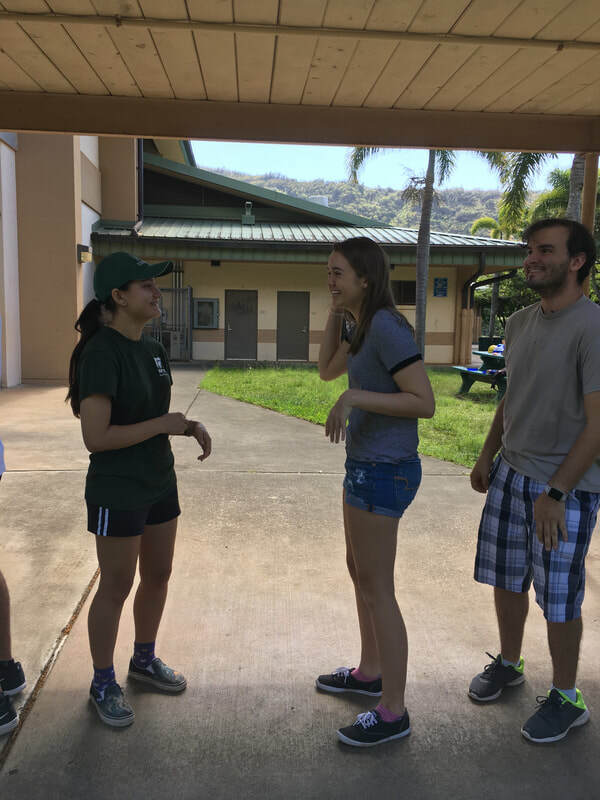 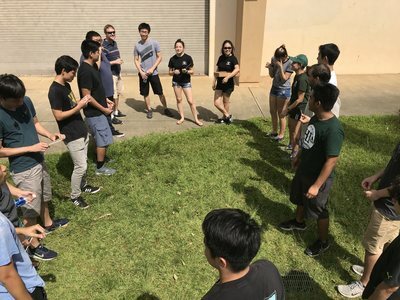 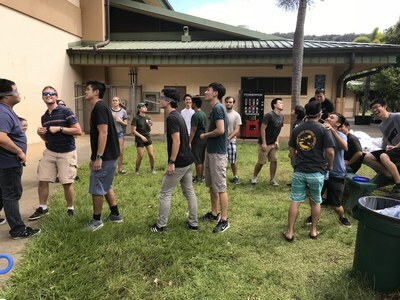 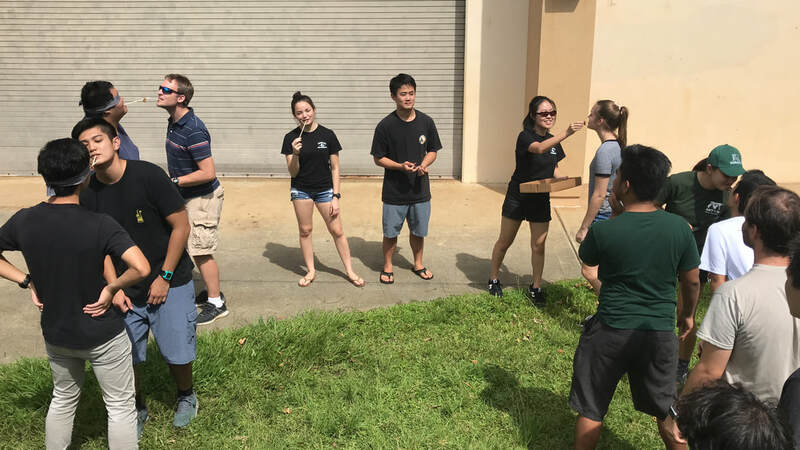 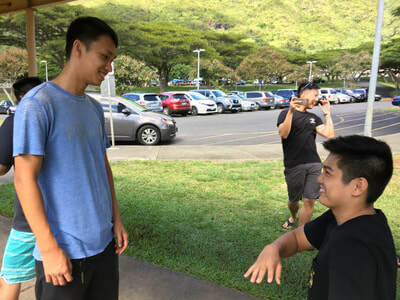 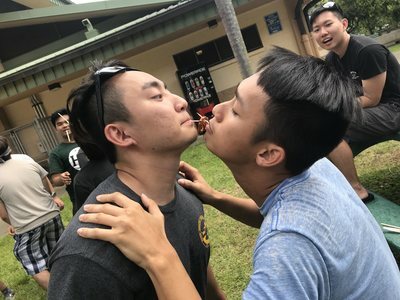 ​Pledges and Officers also played several games of charades, which required non-verbal communication to “act out” a word, and demonstrated how easily a message can be distorted as it makes its way through a series of people. 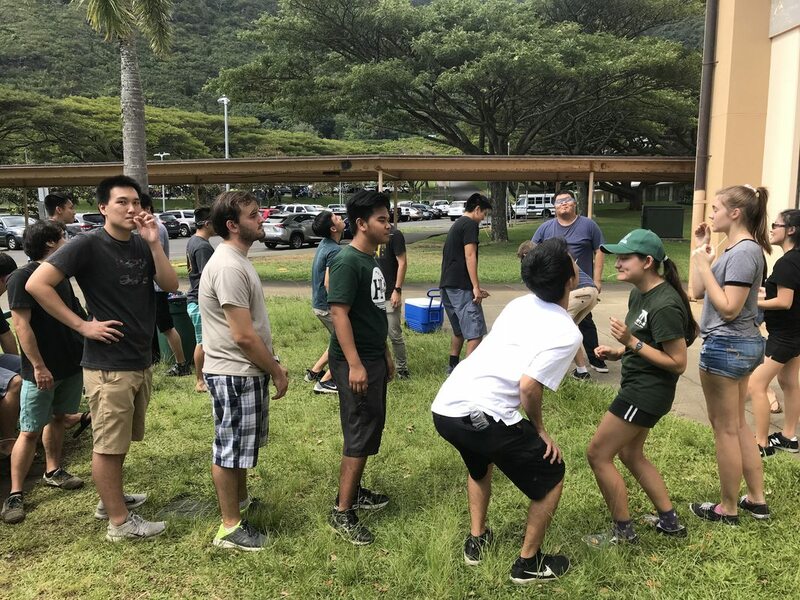 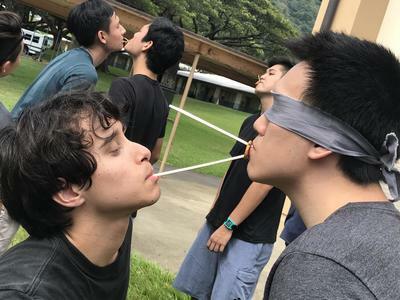 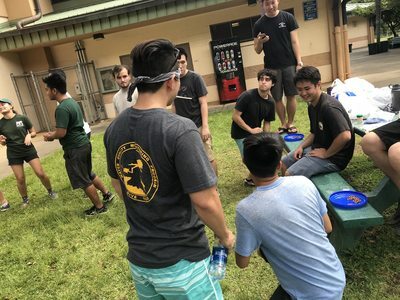 In addition to the games listed above, pledges also played a pretzel-passing relay race where, without using hands, the two teams passed pretzels to one another using toothpicks and chopsticks. After the games, attendees sat down to enjoy a bento lunch in the sun before leaving at 2:00 PM.